Did you know that today is considered “Ditch New Year’s Resolution Day”? Yes, really – Jan 17 is popularly thought to be the day when a large number of people abandon their resolutions for the new year and revert to old ways. Does this ring any bells? Perhaps you’ve eaten 5 portions of fruit and veg every day since Jan 1, laid off the wine or made visiting the gym your new daily ritual. But…it’s nearly the weekend, and it’s dark and cold outside and, well, wouldn’t it be nice to just curl up in front of Netflix and forget about that walk you were planning? New Year’s Resolutions are difficult to stick to when they don’t become habits that are part of your daily or weekly routine. While our free weekly 5km events might not be the solution to everyone’s motivational issues, don’t give up on your ambitions to be more active in 2019 just yet because we think parkrun can help! - Firstly, parkrun is free. So unlike signing up for an annual gym membership, you don’t have to worry that your commitment to be more active is costing you lots of money! 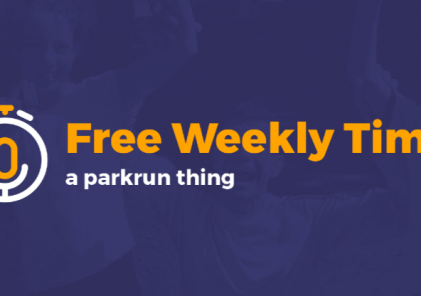 - parkrun happens every week at 9am on Saturday morning, so it can help you to make a regular commitment to exercise. Checking off a 5km before lunchtime (or even brunchtime) is a great feeling! - It’s not a race, so you’ll be sure of an encouraging atmosphere at parkrun, whatever your goal. We have a Tail Walker, whose job it is to keep the walkers company and make sure that no-one has to worry about finishing last! - It’s all about the taking part, not about finishing first. You can walk, jog or run your 5km; you can bring your dog, you bring your kids. And if you would rather not run, then you can always volunteer!